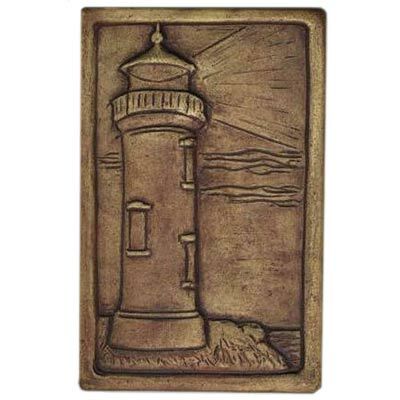 The Lighthouse tile measures 4" wide by 6" high. It is sculpted in relief. 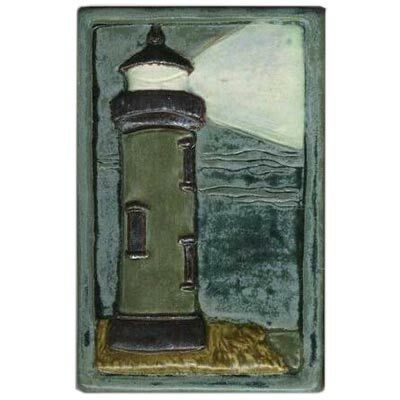 This tile is available in any single color or multiple glaze combination. 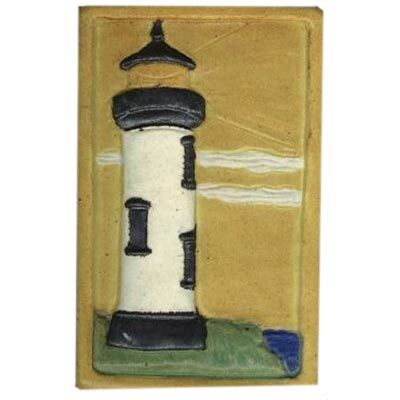 Colors shown: stormy blue sky with gray lighthouse; sepia stain overall; and pharsalia sky with white lighthouse.